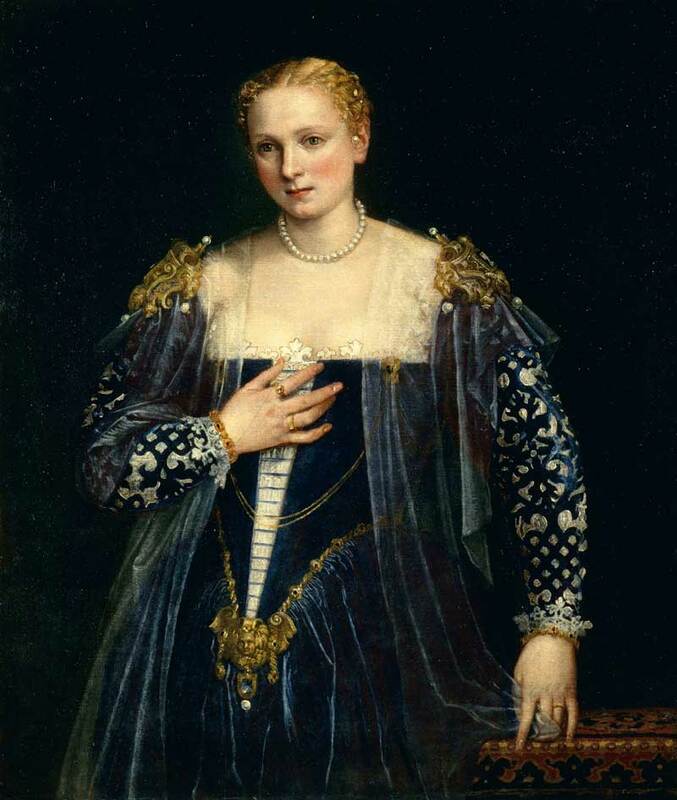 Veronese is often regarded as an expert technician, but Titian and Tintoretto, with whom he is grouped, are generally thought to have put more of themselves into their work. Before you enter ‘Veronese: Magnificence in Renaissance Venice’, you are treated to a room of Titians and Tintorettos which belong to the National Gallery. The exhibition contains 50 of the painter’s works, a dozen of which are altarpieces flown in from around the world, though a few of his most famous are in fact too big to be moved. I feared I’d feel that desperation to be impressed by the works of a famous master, especially those which were painted to take up whole walls of palaces and cathedrals. But for all the grandeur, Veronese is touchingly loyal to the everyday. I therefore encourage people not to be put off by the ‘Magnificence’ strapline, or Veronese’s reputation for religious allegory, if that leaves you numb. This is an exhibition all about a brilliant imagination at work with life. He’s obviously great at the shine of armour or the texture of expensive fabrics, and other flourishes perfected by painters such as Van Dyck. But his paintings also indicate a frankness about what he sees that you probably wouldn’t find in his courtly descendants. Would Van Dyck have been brave enough, for example, to show the water stains on a patron’s clothes, as Veronese has in his mysterious Portrait of a Gentleman (1585)? This is something I never would have spotted in a reproduction, and which might not be particularly visible anyway. For this painting alone, you should come to the exhibition. In contrast, Veronese stops painting some of his larger classical histories half way into their depths, fading into a background of impressionistic, fresco-like half-lives. (Veronese cut his artistic teeth on frescoes). But these two-dimensional shadows on balconies are not simplistic; they seem to say, here is life as well, which keeps happening around figures like Alexander the Great and Darius. The un-lifelikeness of their execution seems itself a concession to life. The Inquisition famously tried to edit Veronese’s paintings, objecting to the inclusion of dogs, a man with a nosebleed, toothpicks, and loitering, drinking guards in depictions of the Last Supper. Veronese argued that they were big pictures, and he filled them with things from his imagination. And besides, these things were just outside the room where Christ and his disciples ate, so technically weren’t in the company of the more reverend subjects. Indeed, some of Veronese’s most interesting things happen ‘just outside the room’. In his early Anointing of David (1550) there is another of the artist’s shadowy figures coming out of a tunnel, leading a bull by its nose ring: you can see the pressure of the pull registered by the animal, whereas the centrepiece is tableau-static. 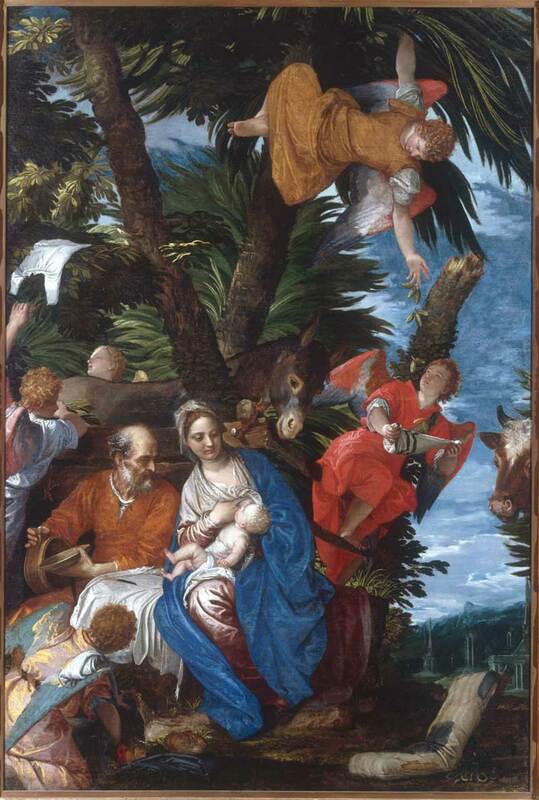 In The Rest on the Flight into Egypt (c. 1570), the beaten and stained straw bed in the bottom-right corner nicely cuts through the magnificence of the angels bending date branches to feed Mary and Joseph. When you think about it, you rarely see the tactile passage of history in a ‘history’ painting. You don’t see age – apart from human age – represented in an ideal image. For all Veronese’s bright surroundings, marble and stone don’t always sparkle. Fountains or viaducts usually have brown water damage. Things display time. It is also a happy accident that the exhibition displays some chinks in Veronese’s beautifully rendered armour. The exhibition wants to demonstrate the artist’s mastery of composition and sense of colour, but from the included examples it seems his technique needs a large arena in order to come together. 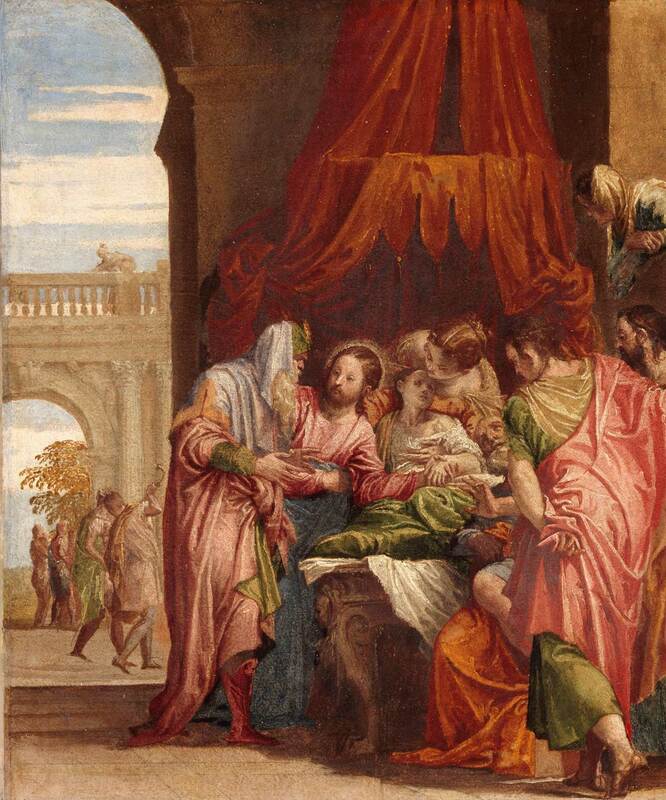 The Raising of the daughter of Jarius, an early, smaller work, displays a fully-formed understanding of colour, but also a range of oddly foetal faces, the features all crowding the middle of the head. You wish he’d had room to spread out. This slight weakness with small canvasses persisted into his maturity, and The Finding of Moses (1575) isn’t nearly the equal of his bigger works of the time. It is obviously a privilege to see all of these works in England and in one place. I enjoyed their splendour as much as anyone would who likes looking at paintings. But through the seven rooms of the exhibition, Veronese the naturalist was better company than Veronese the allegorist. ‘Veronese: Magnificence in Renaissance Venice’ is at the National Gallery, London, until 15 June.